Our Best Car To Buy award can go one of several ways here on Green Car Reports. Sometimes it goes to a moonshot car, like the first Nissan Leaf (in 2011) or the Tesla Model S (in 2013). Those are cars that radically redefined what green transportation could be, changing the auto industry forever. Other years, the winners are more evolutionary–but are likely to have a bigger impact in sheer numbers of buyers. Those included the expanded Toyota Prius hybrid range (in 2012) and last year’s winner, the 2014 Honda Accord Hybrid. This year, our nominees for 2015 were all largely evolutionary. The Audi A3 TDI is an all-new version of the aging A3 diesel, while the Honda Fit is the latest generation of our favorite subcompact. The Hyundai Sonata Eco is a new higher-mileage model of the redesigned mid-size sedan, and the Kia Soul EV is an electric version of the popular compact tall wagon. But it’s our last nominee–the 2015 Volkswagen Golf range–that our editors chose as the winner this year. It’s also the car our readers’ poll selected as well. The 2015 Golf range is our recommendation as Green Car Reports’ Best Car To Buy (and the first European brand winner since the award started five years ago). The compact five-door Golf, now in its seventh generation, is both lighter and more spacious inside. It comes with expanded features and electronic safety systems, while retaining the Golf’s fun-to-drive quotient. It’s the wide selection of powertrains that gives the Golf the gold this year. 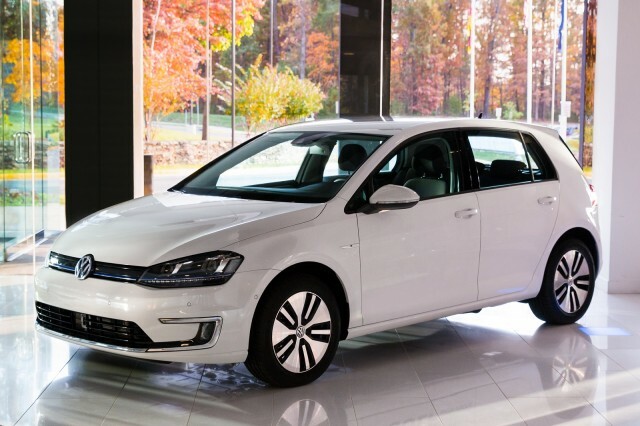 Then there’s the Volkswagen e-Golf, VW’s first-ever all-electric car and zero-emission vehicle. 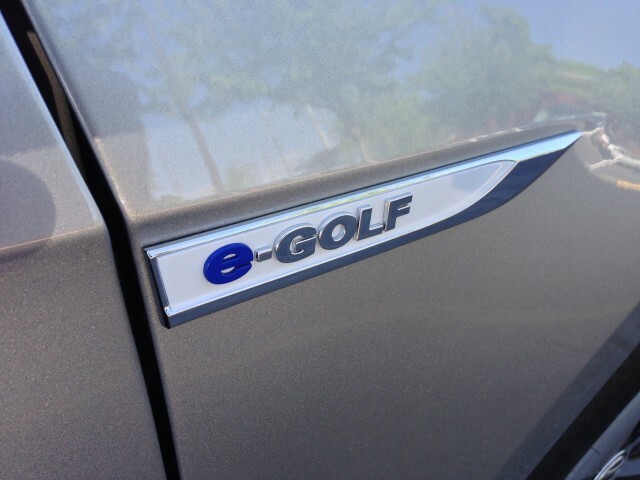 So far, we haven’t spent long enough in the e-Golf to test its real-world range or efficiency. But for the diesel, the Golf TDI is rated at 36 mpg combined–and like many diesels, it overachieved on its EPA rating, giving us a genuine 48 mpg in a week of real-world use. That’s largely equivalent to real-world Toyota Prius results, with the added bonus of driving pleasure that the Prius just can’t provide. Whichever Golf you choose, you’ll get fuel efficiency and fun in equal measure–and that applies as well to the Volkswagen e-Golf. It’s simply the most “normal” electric car we’ve ever driven. Take a relative who doesn’t know much about cars for a ride in either the Golf TDI or the e-Golf, and he or she may never notice the different powerplant. Sometimes being greener in a car that’s otherwise entirely normal can be a good thing. 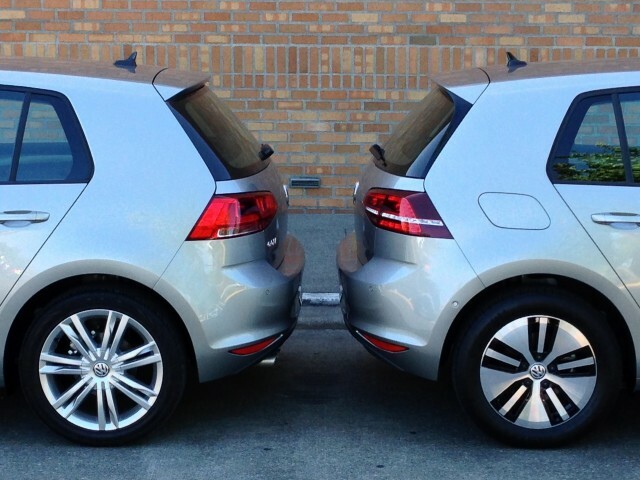 And that’s why the Volkswagen Golf lineup wins our Best Car To Buy award for 2015. It was also chosen by readers as the 2015 car to buy. No small feat! Source: Green Car Reports – John V.